You should make this right now. This recipe is kind of a reiteration of this green sauce recipe. Oh, thank the stars somebody figured out how to make that special green sauce. Here in Dallas, the most popular single place/chain that serves it is Taco Diner. You get there and they give you the two smallest bowls of salsa imaginable, one with some roasted warm red salsa in it and another with the special creamy green sauce. Green sauce that they always seem extremely protective over. Patrons swoon over this sauce, which they never refill with haste. 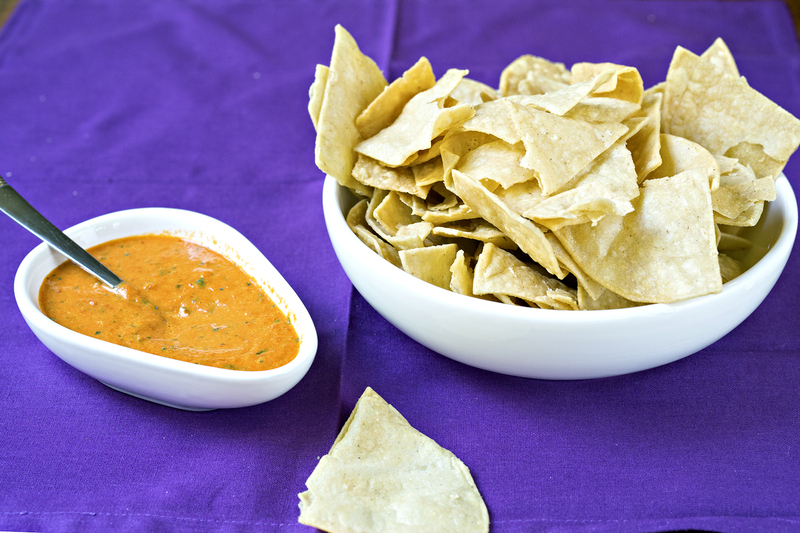 Nobody touches the red salsa that accompanies it until they have completely licked the bowl clean of green sauce and begrudgingly move over to the red stuff until the waiter oh-so-hesitantly brings you some more. And whenever you ask for more, they seriously look a little pained about it. And then there is the barrage of questions, to which they answer, usually in this order, “It’s a secret recipe.” “No, there is no dairy in it.” “No, it doesn’t contain avocado either.” After which they smirk like they are hiding Madonna’s private parts in the back and saunter off to fetch you more at a snail’s pace. Then I came across the aforementioned blog. Nope, there is no way this coveted recipe is, in a nutshell, boiled jalapeños and oil. Then I made it, because it’s quite easy to throw together (aside from the boiling jalapeños causing some sniffles and coughing) and sure enough, that’s the stuff. BOILED JALAPENOS AND OIL!?!?!?! Sheesh. Thank you, Yes More Please, for figuring this out. And you’re welcome to everyone else I’m sharing it with. You will officially have some version of this sauce in your fridge at all times, because it costs literally $.27 to make and comes together in a snap. Not that it will last very long, because you will drizzle it on everything you plan on stuffing in your pie hole. For the red version, I tamed down the spice a little bit by using a few less jalapeños and adding half a red bell pepper in there. If you like a lot of spice, make it with 6 large red jalapeños instead. I added pomegranate juice both for color and just to switch it up a bit, because I was serving it with these plantain cheese things I was making and something a little sweeter seemed to fit the bill. You could leave it out, or use whatever juice you have on hand. Or even throw in some really sweet fruit, like a few chunks of mango or something. I also added cilantro and lime juice. Just because. Because I like them. It worked splendidly, but you can make it without the cilantro if you have friends who are super tasters or otherwise think cilantro tastes like soap. Boil the onion, bell pepper and jalapenos until fork tender, about 10-ish minutes. Drain. Put these and the rest of the ingredients in a blender or food processor and blend until smooth. 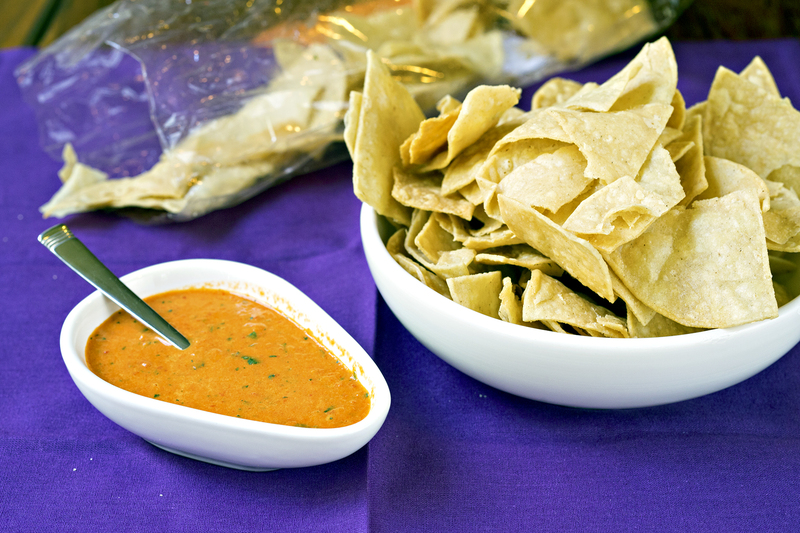 Serve as a sauce with tacos, empanadas, or as a dip for tortilla chips or veggies. 1 Comment on "Side of the Month: Red Pomegranate Aji Sauce"